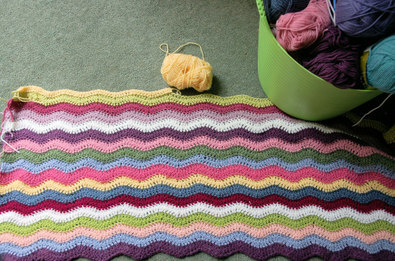 So now I can add the long grass to the long list of different places I've crocheted my ripple blanket. I am still loving it and find it very therapeutic going up and down the waves. I am not following any colour pattern - it's just sort of evolving. Slight problem though - the more I do, the bigger it gets, the more it covers me! Hmm not a sensible summer project but I do love it. 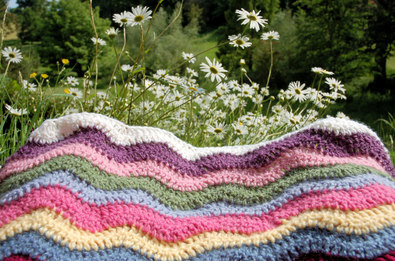 So if you see a blonde, sweaty lady wrapped in a ripple blanket crocheting furiously - pass her a towel!